Over the past 20 years it has been a pleasure to assist various Canadian artists who have performed in Australia. Either assisting the artist(s) directly or through their artists management company our specialized team has ensured their documents are correctly prepared to save what may result in the double taxation of fees. In order to register with the Australian Tax Office foreign artists are required to have proof of their identity. Depending on the business registration of the artist(s) will determine what document is the correct one for proof of identity which may include Articles of Incorporation or Certificate of Incorporation. If unclear about this feel free to contact one of our friendly agents who will be able to help you with your specific requirements. In most cases the required document will be the original and you may want to keep it for future use. In order to save your original you can either have a notarized copy made before sending it to our office or some of our clients prefer the convenience of sending the original and we will make a notarized copy. Once we have received your document it will be ready to be authenticated and legalized here in Ottawa. As Australia is member of the Hague Convention you may see this process also called Apostille, either is recognized as the equivalent. Although the process by mail with Global Affairs Canada for the authentication of documents can take 15-25 business days our assistance can shorten this to 1,3 or 10 business days depending on your need. 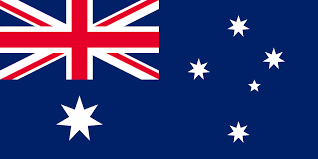 Now that we have authenticated your Articles of Incorporation or Certificate of Incorporation they are ready for what in Canada is called legalization at the Australian High Commission in Canada located in Ottawa. Although Australia does use the Apostille process they still refer to this step as the “authentication of signature”. The final step is, as with each step, important that you get it right and with our help we guarantee that you will. Now that your document has been authenticated and legalized it is ready to be sent off to the Australian Tax Office for a Tax File Number (TFN). As you may already know without a TFN any foreign artist is unable to file a tax return in order to get a refund on any excess withholding tax that may have been withheld from your performance fees and paid by the promoter to the tax department. This could result in double taxation for an artist. As not all of our clients are performing artists we have assisted them for various reasons with the authentication of signature on their birth certificate, marriage certificate, degree, police clearance check feel free to ask us about your Canadian document that you will be using in Australia. If you need to Apostille, Authenticate and Legalize your personal or corporate document for Australia we can help contact Authentication Legalization Services Canada.